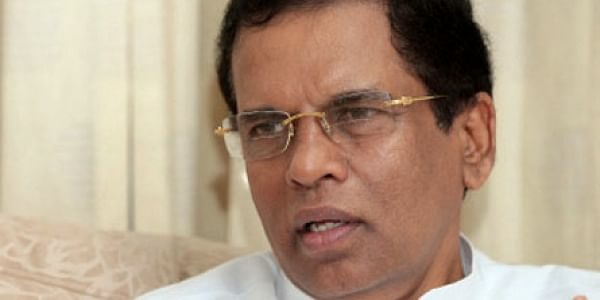 COLOMBO: Sri Lanka will go ahead with implementing death penalty on drug dealers ending a near-half century moratorium on capital punishment, President Maithripala Sirisena today said, despite strong objections being raised against the move. President Sirisena earlier this month had told the Cabinet that he “was ready to sign the death warrants” of repeat drug offenders. The international community, including the European Union, local civil society and human rights groups have raised concerns over the President’s decision. A list of 18 convicts has been compiled and the president is to sign the documents to implement the death penalty on them. Speaking at an event in north central district Polonnaruwa, the president slammed the opponents of capital punishment and said he will implement the death penalty despite strong objections being raised against the move. He said those who oppose implementing capital punishment have not come forward to assist Sri Lanka in drug prevention work. “Even school children are being now used in the drug trade. This has led to a serious social decaying,” he said. “I will go ahead with executing drug convicts,” Sirisena said, adding that a committee to be formed by him on Tuesday with the participation of judicial and prison officials will decide who will be hanged and when. The Sri Lanka Human Rights Commission has also written to Sirisena raising concerns over moves to implement the death penalty on convicts involved in drug trafficking. Sri Lanka’s last hanging took place in June 1976. Since then successive presidents have refused to sign death warrants to hang convicts.